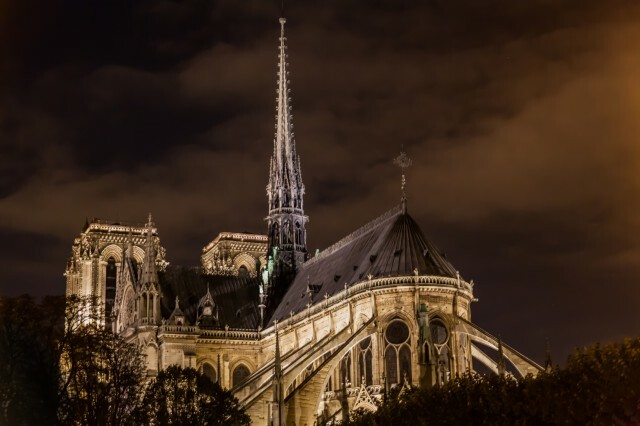 The Notre Dame Cathedral in Paris dates back to its opening in 1345 with the actual construction beginning in 1163. It is a historic Catholic Church with the meaning behind the words being ‘Our Lady of Paris’ in the French language. It was constructed during the Gothic period and the cathedral reflects it with sculptures and stained glass windows. Because it took so long to construct, as in 300 years, it contains other styles during that time period. French Gothic dominates but the Renaissance along with a Naturalism complete the architectural styles. Flying buttresses were added for support due to thin walls, and, of course, damage occurred throughout the last 660 years. The French Revolution in 1786 certainly played its part but was later restored. The grandeur of the Notre Dame cathedral attracts many different faiths which marvel at the uniqueness. It also stands upon an island in Paris. Pope Pius X beatified Joan of Arc in 1909 at the Cathedral. Beatify means to make holy, or canonize, also bless. This allows a dead person to enter heaven and others who pray in her name to be helped. Joan of Arc told people she had visions from God and she used those to help the French defeat the English in battles. Later she was believed to be a heretic and was burned at the stake. In 1456 her name was cleared, thus she became a martyr. The Cathedral in Paris is the home of the Catholic Archdiocese of Paris. Mass is held three times a day and is open to the public. The famous novel ‘Hunchback of Notre Dame’ written by Victor Hugo was published in 1831. This popular story contains the protagonist Esmeralda, and the setting is Paris during the reign of Louis XI (1461-1483) in the Middle Ages. This popular novel that centers on the architectural structure of the church was set to a more recent Disney animated movie. Previous movies have portrayed this novel in realistic terms. Recently last Friday, the 13th of November, Paris came under attack by terrorism. More than 150 people died and hundreds were wounded in a bloody massacre at several different locations in the city. People enjoying themselves out on a Friday night were targeted. The radical group known as ISIS has claimed responsibility. Paris was in mourning for three days, lights out but not silent. The country responded immediately to the act of terrorism and countered ISIS with massive airstrikes. France has declared that they are at war with ISIS which has its hold in Syria. Meanwhile the people of Paris were in shock, not only from being in the terrorists proclaimed war zone and experiencing the horror themselves, but also losing loved ones. What did they do? They picked themselves up and came out into the city. They united. They sang songs with candle light and hope. They placed flowers. And they brought their children out and explained to them the best they could. The hope is the children see their own grief, and that the power of song and flowers will protect their souls. That sounds like love. ~See video below for full report on the recent tragedy in Paris and singing near the Notre Dame Cathedral.